Nalij Bone is the much-needed reorientation needed in the hip-hop culture. Raving to the beats of R&B and rapping to the core of hip-hop, this aspiring artist has a divergent aggression in his music that sets fires in the chests of his listeners, cultivating a sense of motivation within. Born in West Palm Beach, Florida and raised in Bradenton, Florida. 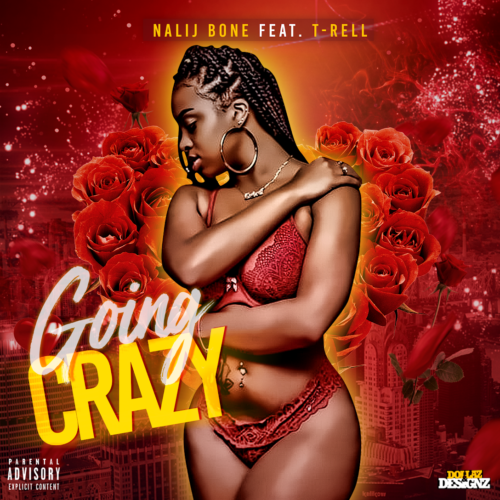 Currently residing in Lake City, Florida, Nalij Bone’s music is electrifying to the very bones of his listeners, giving them a little taste of every genre. Bone absorbs compliments with utmost humility when his fans resemble his voice to those of native New Yorkers or Louisianans. Although he maintains an unorthodox authenticity in his voice, he is proud for sounding alike his brother whom he holds in the highest of pedestals, an inspiration to him since childhood. Growing up, Bone jammed with his brother to the mainstream artists such as Jay Z, Tupac, OutKast, Nas and etc., but soon enough, Deal Montana, his brother, encouraged him to enter the world of music and begin his career back in 2010. But even this passion and flare for lyrics, rhythm and beats ranges back to early childhood when Bone found solace in writing lyrical poetry. For now, Nalij Bone is entirely focused on revamping his childhood dreams, to build an empire undefeatable in the hip-hop culture and to leave is mark as a legend in the industry.